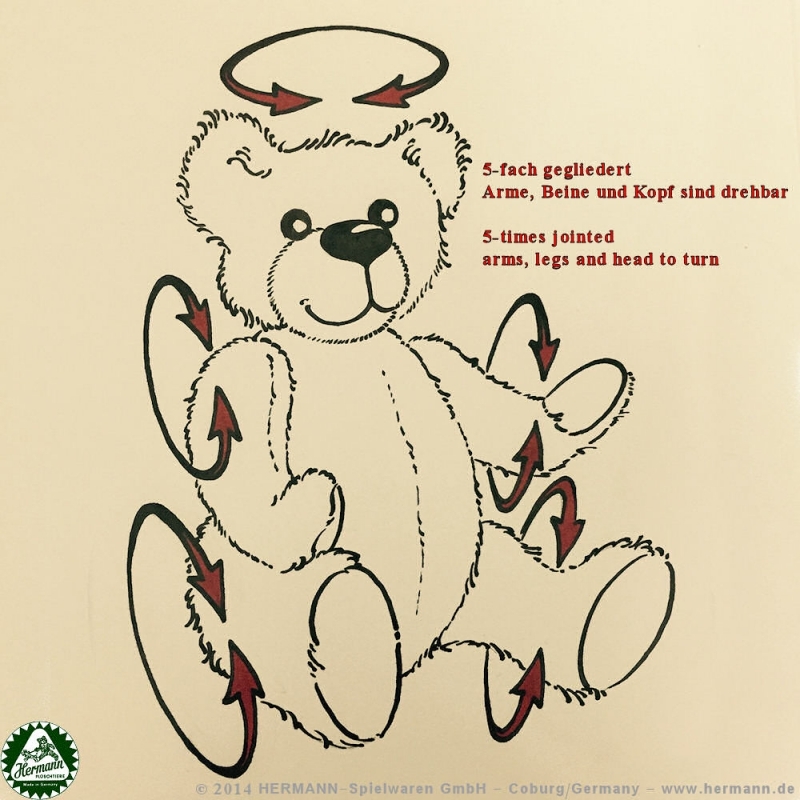 This bear combines the advantages of a classic teddy bear with the advantagesof a soft bear to cuddle. 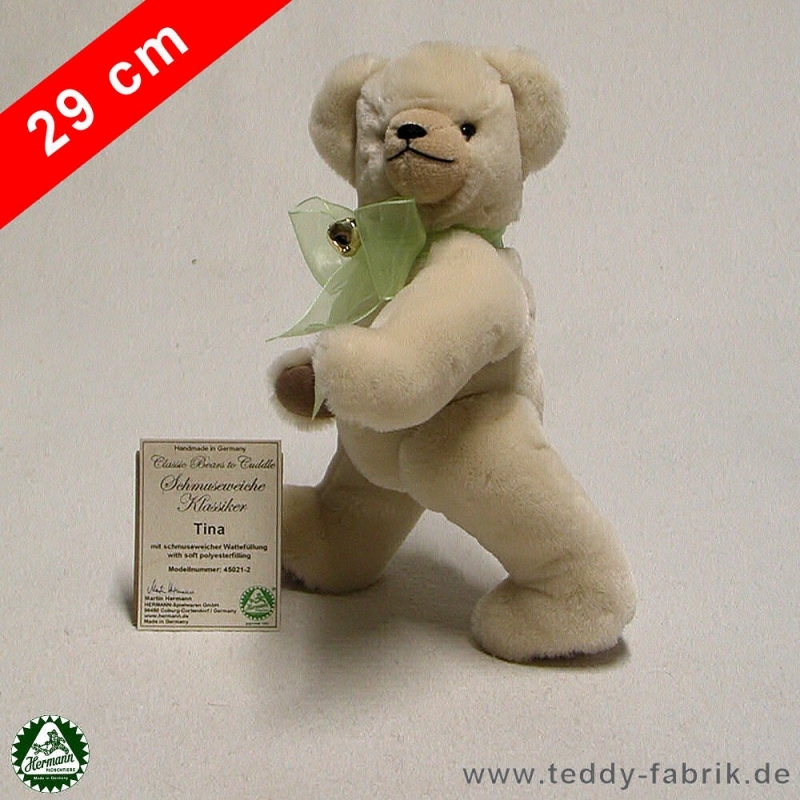 The design of the model is based on the traditionalteddy bear pattern from the 1920s / 30s. This is so even today - virtuallyunchanged - used in many Limited Edition collector classic teddy bears. 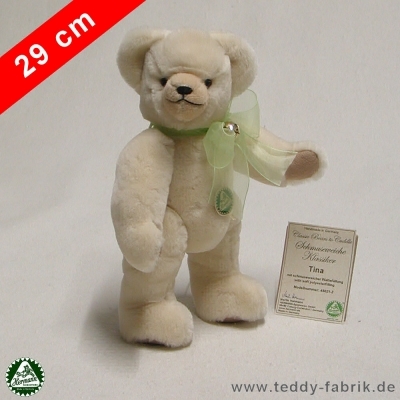 Thebear show the image of a German teddy bear. However, for the series "ClassicBears to Cuddle" omitted mohair plush and instead uses the highest qualitycuddly soft plush teddy. These cuddly bears are filled instead with solid,hard and of classic excelsior with extra soft and high quality polyesterfilling. 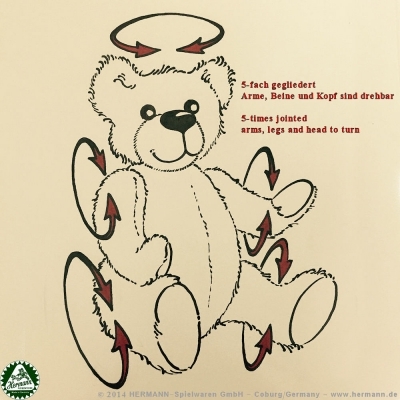 The bear are produced in Coburg/ Germany and also all materials used aremanufactured in Germany as well. You are invited to visit the factory inCoburg to see the company and the production by yourself. 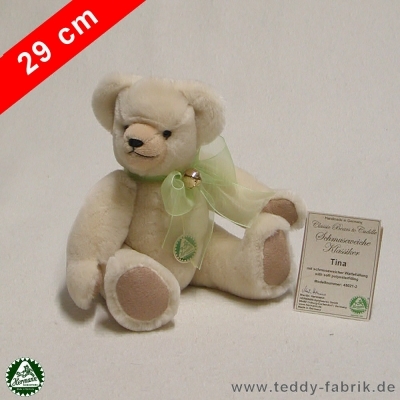 Please note, that the personal embroidering of a bear will need 2-3 weeksadditional delivery time.